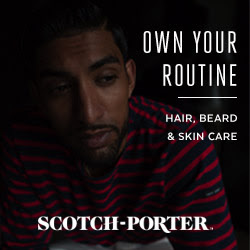 She Is Media is excited to announce the new Scotch Porter campaign! Calvin Quallis developed a cosmetics line for men that takes style to the next level, and as the saying goes, when you’re looking good you’re feeling good. All natural and full of good intentions, Scotch Porter is a high end line for wallets of any size. Earn commission with our beard friendly program! Interested in promoting Scotch Porter? Preview the Scotch Porter lander here.